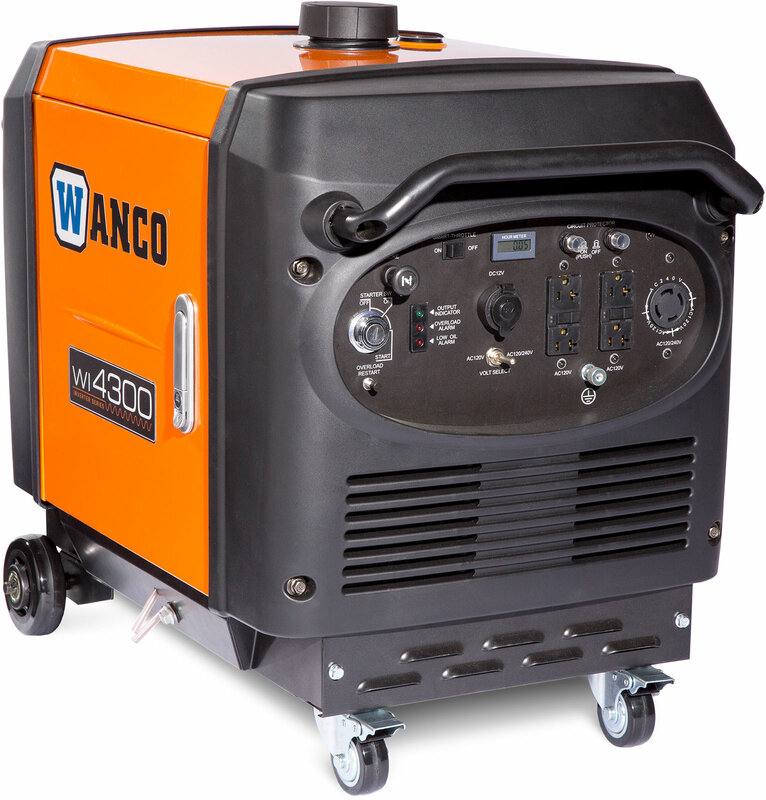 4300 Watt Inverter Generator - Wanco Inc. The WI4300 can easily run a number of appliances simultaneously with the same high quality and clean power. Dual 120- and 240-volt capability enables it to run all types of appliances and tools. The 277cc engine and large alternator will start and run most air conditioners without start capacitors. The control panel features a digital panel and hour meter, one duplex GFCI receptacle and one 120/240-volt locking receptacle are included. This model is EPA and CARB compliant. Ratings apply for altitudes from sea level up to 1,000 feet (305 meters) with typical cooling, normal ambient temperature and gasoline fuel. Reduce ratings 3.5% for each 1000 feet (305 meters) above sea level and 1.0% for each 10°F rise above 60°F (5.6°C above 15.6°C).